Let Jesus heal your marriage (1-12). Some practices are lawful but not biblical, so follow the principles given in Scripture. God’s original plan was one man for one woman for all of life (Gen. 2:18-25), but He made a concession for Israel and permitted divorce (Deut. 24:1-4). Divorce is not given as the solution to the problem. It takes a change of heart for two people to make a new beginning, and only Jesus can change hearts. Before you run away, run to God and seek His help. Let Jesus bless your family (13-15). Children want to come to Jesus (v. 14), but too often adults get in the way. The best parents make it easy for their children to come to Christ, love Him, and receive His blessing. Let Jesus have your all (16-30). The wealthy young man had much in his favor, but he thought too highly of himself and was not really honest before God. Money stood between him and salvation, and he would not repent and renounce his false god. You never lose when you give everything to Jesus. He blesses you in this life and in the life to come. 1. 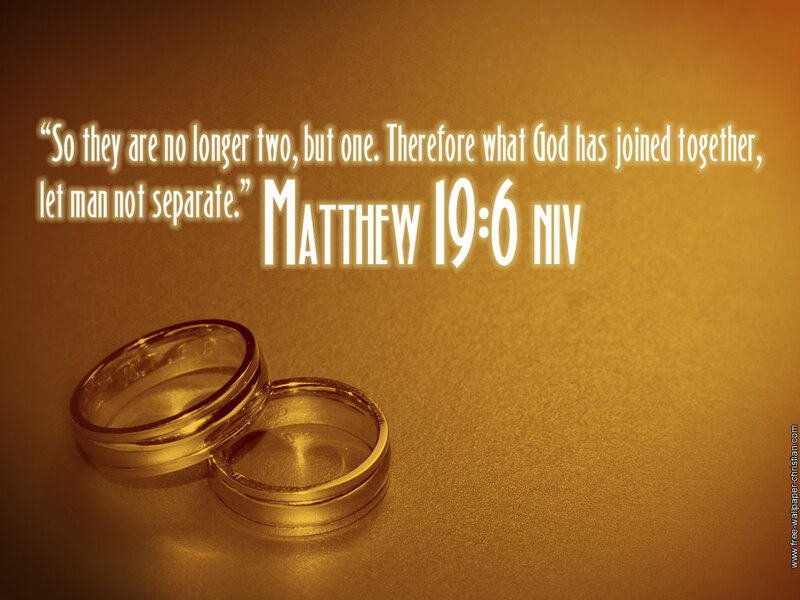 Pray that all married people in the church will fully surrender themselves and every aspect of their marriages to God. When we submit to God we resist the devil. Pray against every negative external influence in marriages. 2. Pray for all the singles that the Lord will usher them into glorious marriages. Break every hindrance or barrier to their marriages. 3. Pray that your treasured possessions will not become an idol of worship. Pray that God will be your focus and to yield to Him.